Wisteria has a full PA system and lights to play any show. 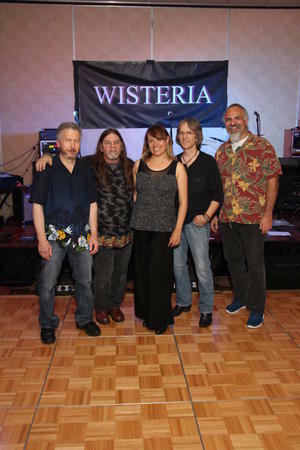 Wisteria covers music from the 70’s to current from Classic Rock to Motown and current pop hits.. We play an array of instruments including keyboards, guitars, melodica, various acoustic instruments and drums/percussion. We are also an original band with a pop/rock feel to our music.